Inaccurate requirements management accounts for almost half of project failures. Aimed at helping IT and business leaders improve their odds for success, Seilevel, a business analysis and consulting company, has compiled a report evaluating 22 top requirements management tools. 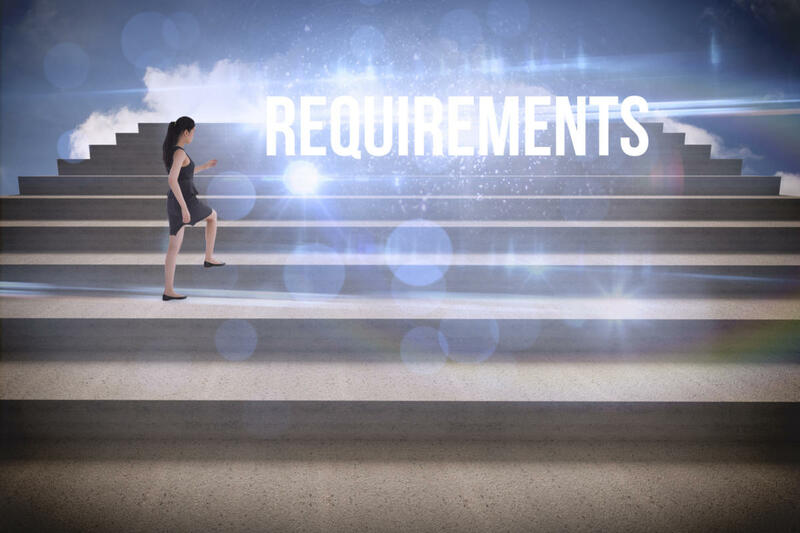 What is requirements management (RM), anyway? Requirements management also demands effectively communicating to all agreed-to needs and changes to stakeholders. A requirements baseline is ultimately determined, against which all project activities are measured. Depending on the size of your business, this process can include various stakeholders such as business and systems analysts, department representatives, IT leaders, frontline users, executives, project team members and vendors. This key information is essential in enabling business strategy and ensures all projects and key business activities support overall companywide objectives. Numerous RM tools are available to assist organizations in ensuring projects and key business initiatives align with overall companywide objectives. The catch is having the time and resources to properly assess which of these tools will work best for your business. In its 2016 Requirements Management Tool Evaluation Report, Seilevel has completed some of leg work for you. Download the complete 2016 Requirements Management Tool Evaluation Report. Seilevel, an IT product management services company founded in 2000 in Austin, Texas, offers project, training, organizational transformation and business analyst services to Fortune 1000 companies. Focused on “defining software that your customers will love,” Seilevel has compiled a requirements management tool evaluation report that seeks to provide an impartial evaluation of RM tools. The 2016 Requirements Management Tool Evaluation Report proposes RM tool selection and adoption recommendations and also highlights additional considerations that may impact final decisions. “Over the past decade, the requirements management tool market has become saturated with many viable options. This report draws on our lengthy experience to do all the heavy lifting in your selection process,” says Joy Beatty, vice president of Seilevel. “But remember, even more important than picking the right tool, is developing a plan to drive adoption of it. You don’t want to have licenses sitting on a shelf unused 12 months from now." The RM process and associated tools provide a mechanism for inclusion where all stakeholders can remain informed with relevant up-to-date changes that impact their areas and the business as a whole. Absent RM, projects and key business initiatives are like rudderless ships destined to be caught in rough seas and inevitably suffer with sunk costs. Traceability when it’s a requirement for compliance purposes. The need for improvements in the areas of scope and dependency management. Frustration over incorrect RM tool selection due to the underutilization of licenses. Issues with stakeholder requirements alignment. Mitigation of version control issues. The current findings indicate features such as increased visual modelling support, improved traceability analysis and team collaboration functionality has become significantly more robust since Seilevel conducted its last RM review five years ago. Its thorough criteria assessment and strengths and weakness identification among its top 22 tools assists business analysts and product management communities to greatly narrow their focus when choosing the best RM tool to meet the unique needs of their business. How they would apply each tool within their projects. Nonfunctional aspects (usability, licensing models and functionality). Criteria that supports traceability to objects and visual modelling capabilities. With these in mind – along with a host of other factors – in the first phase of their assessment and testing, Seilevel initially took a list of 185 tools and narrowed it down to 70 that would be compared against their minimum viable product (MVP) criteria, Beatty says. In other words, only 70 of the 185 tools were capable of performing or supporting seven high-level, very basic core RM functions. This is not to say the other tools were not useful; however, they did not meet with Seilevel’s strict criteria for the purpose of proceeding to the second phase. Seilevel’s team of evaluators then identified their list of the top 22 RM tools that would move on to a full-scale more rigorous evaluation in the second testing phase. Over the last 15 years, Seilevel says it has developed (and continues to advance) its own requirements lifecycle that they follow in its methodology. This has facilitated the team in establishing and applying acceptance criteria as their evaluation criteria. Ultimately this resulted in the prioritization of 34 MVP criteria for RM tools that Seilevel as a company says it would actually use. This evaluation criteria identified what was essential in an RM tool.As mentioned above, within the second phase of its assessment and testing, only RM tools that met basic criteria would advance further. Next steps would involve a stringent process of prioritizing the remaining tools against Seilevel’s other 173 criteria. The short-listed tools were then further weighted using a feature support scale as well as full feature scoring scales. In order to vary testing to encompass the maximized user and role-based experience, Seilevel’s evaluators possess a wide range and breadth of expertise and experience in terms of years, company size and industry, according to Beatty. While functionality was given the largest consideration for the purposes of this report, Beatty says Seilevel incorporated other factors in its ranking of the RM tools. Some of these included licensing and operational costs, software formats and versions, scalability, adoption rates, the capability to handle legacy data and integrations, and support for various methodologies. Some operational considerations were also taken into account. As with any other evaluation, challenges and limitations exist. These can include specific business needs, user subjectivity and experience, industry, international business and cultural differences and unique regulatory or legal requirements, among other things. With this in mind, Beatty says Seilevel conducted this study taking all available steps to provide as much consistency and subjectivity as possible, while also providing vendors the opportunity to provide feedback if they were of the opinion their RM tool unjustly received a lower score in any area or overall ranking. Beatty cautions that in addition to using Seilevel’s RM Tool Evaluation Report, organizations should also conduct their own due diligence to take into account other factors that may be unique to their business, which may impact the ranking order of the 22 tools. The end result of Seilevel’s evaluation yields a list of 22 highest-rated RM tools, each capable of significantly supporting requirements management activities through various strengths and functionality. This report not only identifies the top RM tools, it ranks the tools based on core functionality, RM activities and processes, strengths, weaknesses and relevance of some functionality to specific user roles and corresponding needs. Again, Seilvevel indicates depending on business needs and priorities, the changes to the scorecard criteria can impact the ranking of these tools. Among the list is TopTeam Analyst, Modern Requirements Tool Suite, Blueprint and Jama. To get the full list of the top 22 RM tools, including their rankings, the pros and cons, and Seilevel’s insights, you can download a copy of the full report.